How goes it on this wonderful Thursday!? 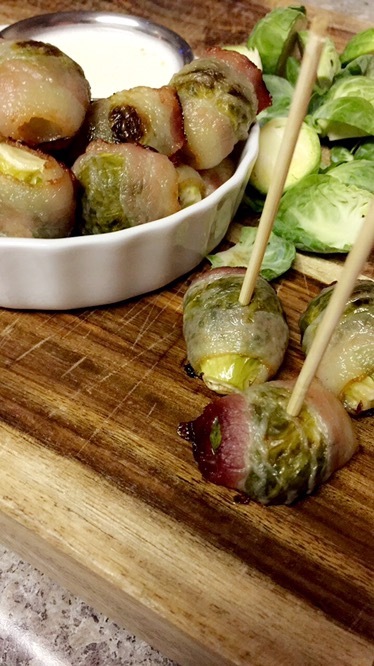 Today we are finishing up the second Brussels Sprout holiday recipe to incorporate into your Thanksgiving menu! 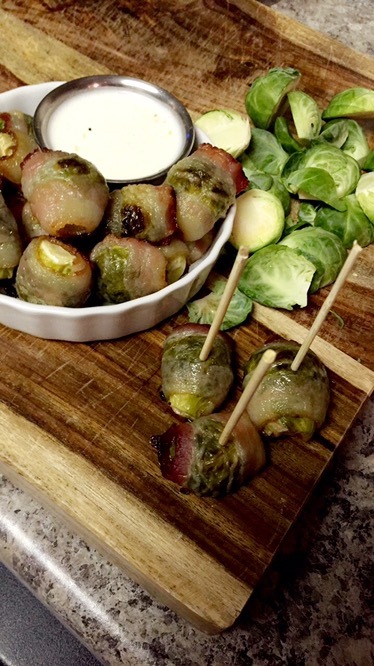 This appetizer is relatively quick once you get started and is served with a lemon pepper sauce that just really highlights the sprout flavor. 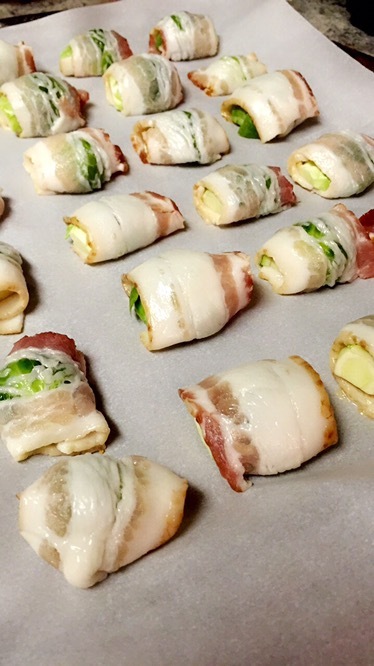 Plus, it’s wrapped in bacon and if there’s one thing I’ve learned in life, it’s that people LOVE bacon. If you’re able to, go ahead and splurge on an uncured bacon of higher quality that is minimally processed and free of added nitrates and sugar. 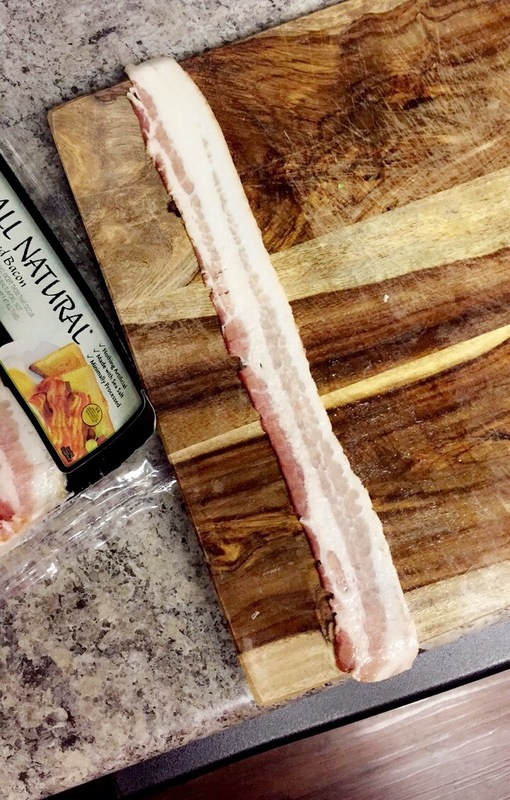 Trader Joe’s and Whole Foods will be your best bet but in a pinch, we’ve found ourselves very pleased with Smithfield’s All Natural Uncured Bacon. We’ve been able to locate it at our local Kroger and HEB. Although it is not completely free of added sugar, it’s still a much cleaner option for the buck and easier to locate than brands specifically sold at a Whole Foods or Trader Joe’s. We can not wait to hear your feedback on these little guys! I truly hope you find them as tasty as I did as I must have ate 12 in the short time of taking photos- Hence the adorably tiny serving dish. Oops. 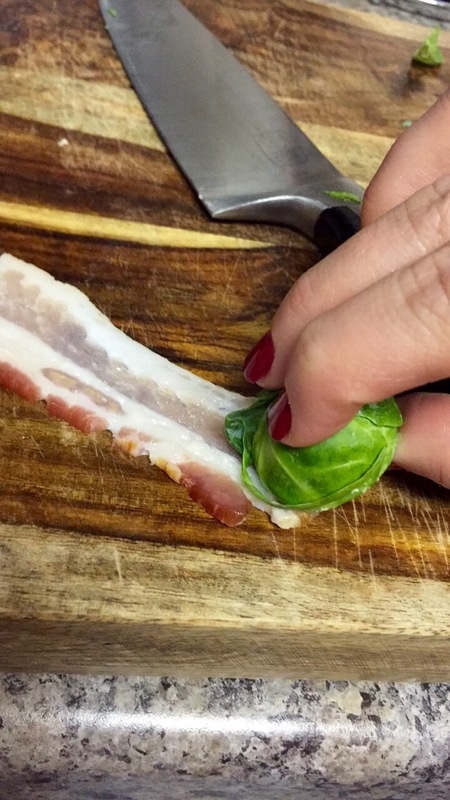 Begin by slicing your Brussels Sprouts in half. 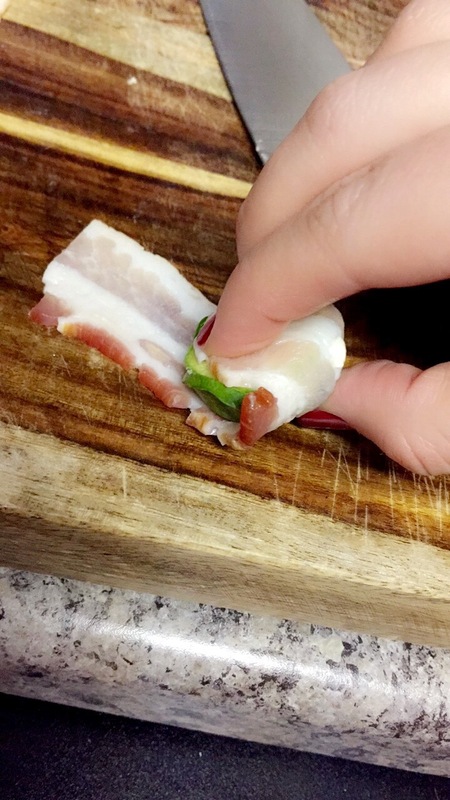 Remove one slice of bacon and cut slice into 4 individual pieces. 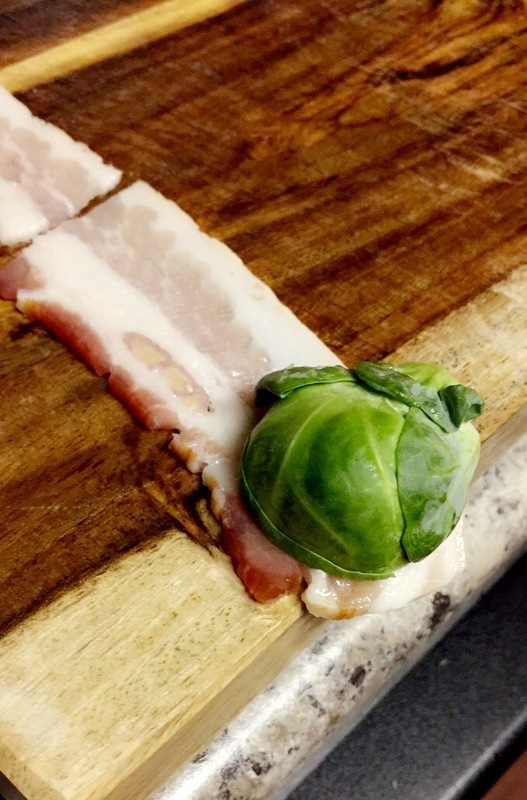 Wrap bacon piece around sprout and lay flat onto a baking sheet lined with parchment paper. Continue until all sprouts have been wrapped and bake for 20 minutes. 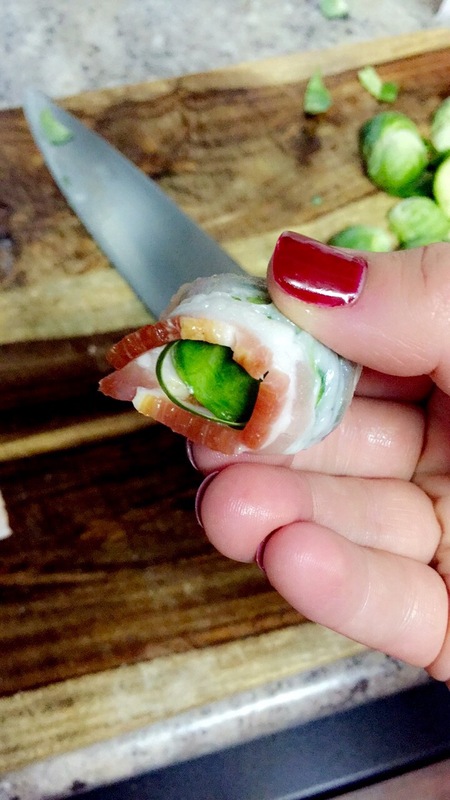 For a crispier bite, broil sprouts for additional 3 minutes. 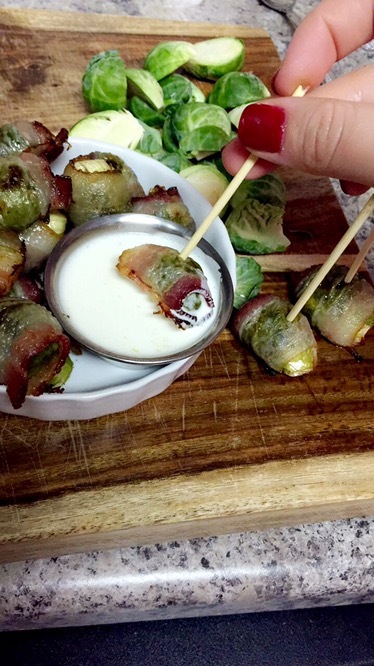 Let cool and serve with toothpicks and Lemon Peppered Dipping Sauce. 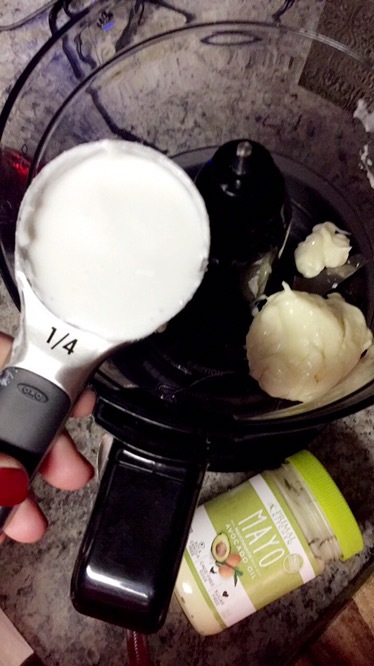 In a blender, food processor, or hand whisk, combine 1/4 C of mayo with 1/4 C coconut milk, the juice of a quartered lemon and pepper and blend until incorporated. Note: If you’re feeling extra fancy, do not be afraid to make your own homemade mayo using the yolk of 1 egg, 1.25 C of extra light olive oil, 1 t ground mustard, the juice of 1 lemon, and a pinch of salt. With your blender on low, blend egg and 1/4 cup of olive oil, mustard, and salt. Slowly drizzle remaining oil into blender. The slower the drip, the thicker your mayo with be. Once incorporated, stir in the juice of a lemon. 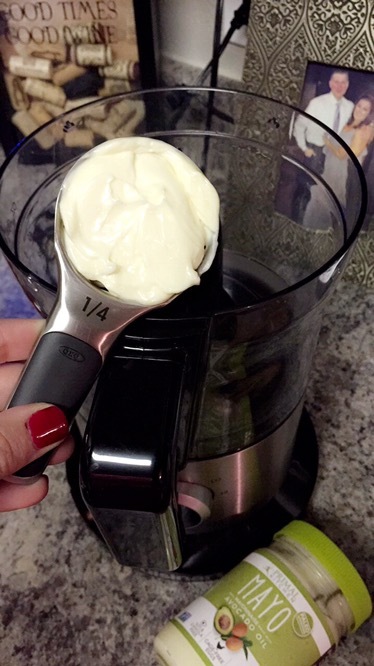 Homemade mayo is good up to one week after your eggs expiration date. Serve on a holiday tray with toothpicks and enjoy!